Click here for important info. Spencer Savings Bank knows how to celebrate summer! The bank has been busy all summer long hosting its annual “Movies Under The Stars” summer series. The free movie nights and activities have become a staple in the community over the years. The bank recently partnered with the Garfield YMCA, the Wayne Public Library and the Wallington Little League and Lions Club to host events for the Garfield, Wayne and Wallington communities. A crowd of almost 1,500 came out to watch the feature films Wonder and Jumanji. Wonder tells the incredibly inspiring and heartwarming story of a boy with a facial difference who enters fifth grade, attending a mainstream elementary school for the first time. Jumanji is an adventure film that welcomes you to the jungle – full of video games and avatars. Spencer employees were on hand serving freshly popped popcorn and there were a variety of fun family activities prior to the movie screenings that the crowd enjoyed. Summer may be over soon but the fun still continues! Spencer will be hosting its final two movie nights on September 28th and October 5th. Join us in Elmwood Park at the Boro Field in September and in Garwood at the Sports & Recreation Complex in October. Both events will start at sunset. (Stay tuned for more information around town.) Come early to grab a good spot and bring your blankets and lawn chairs. We will see you, under the stars, at the movies! 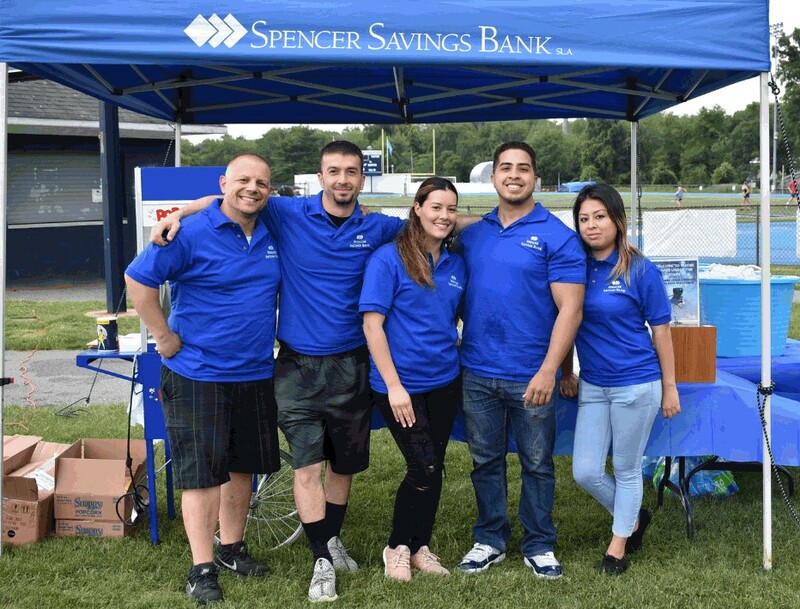 Spencer Savings Bank, a community bank headquartered in Elmwood Park, NJ, has been serving its local communities with integrity and pride for more than 75 years. The bank, serving consumers and businesses, operates 21 branches throughout New Jersey. Subscribe to our e-newsletter for financial tips, event information, promotions and more!